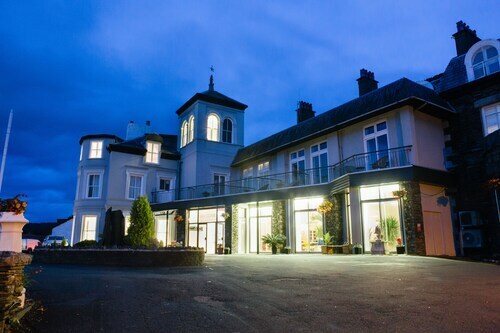 Situated in Windermere, this hotel is within a 5-minute walk of Lake District and Lake Windermere. Brockhole - the Lake District Visitor Centre and Ambleside Pier are also within 1 mile (2 km). 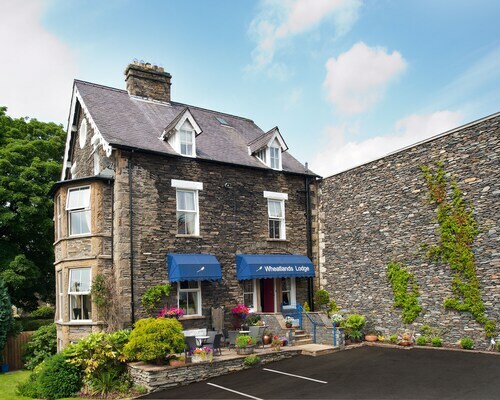 Situated on a lake, this hotel is within a 15-minute walk of World of Beatrix Potter and Lake Windermere. Hill Top and Lakeland Motor Museum are also within 9 mi (15 km). 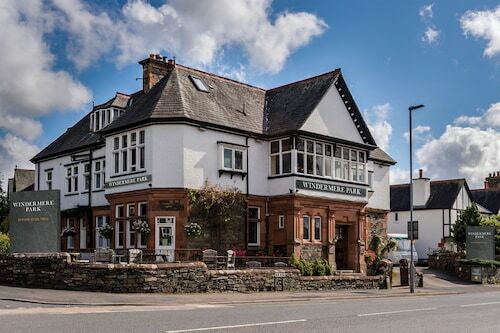 This family-friendly Windermere hotel is located on a lake, just steps away from Bowness Pier and Lake District. Lake Windermere and World of Beatrix Potter are also within 10 minutes. 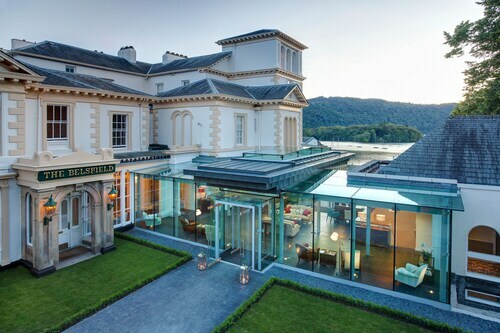 Situated in Windermere, this spa hotel is within a 5-minute walk of Lake District and Lake Windermere. World of Beatrix Potter is 2.9 mi (4.7 km) away. 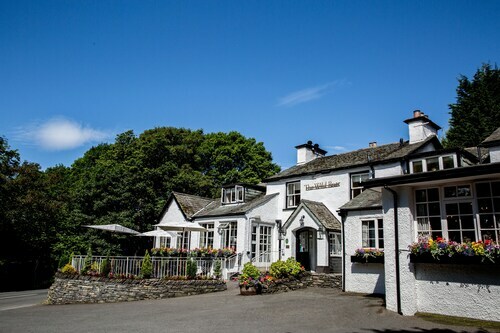 Located in the heart of Windermere, this hotel is within a 10-minute walk of Lake District and World of Beatrix Potter. Lake Windermere is 0.7 mi (1.1 km) away. 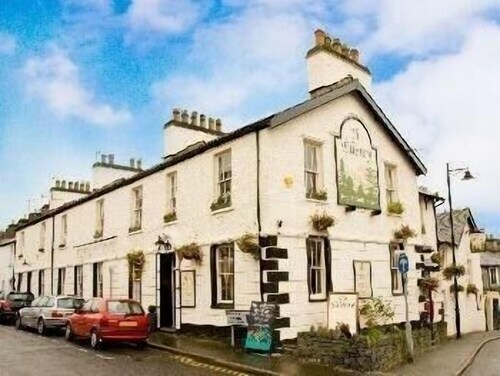 Situated in Windermere, this hotel is steps away from World of Beatrix Potter and Lake District. Lake Windermere is 0.5 mi (0.8 km) away. 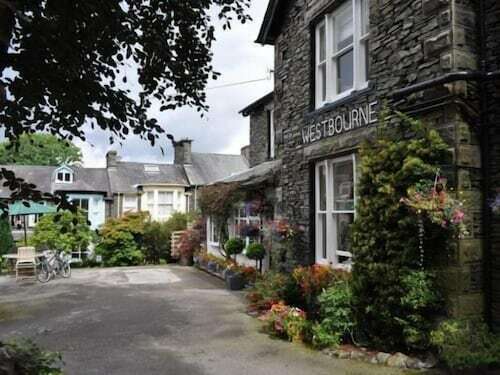 Situated in the historical district, this guesthouse is within a 15-minute walk of Lake District and Lake Windermere. World of Beatrix Potter is 0.9 mi (1.5 km) away. Windermere Station is 10 minutes by foot. 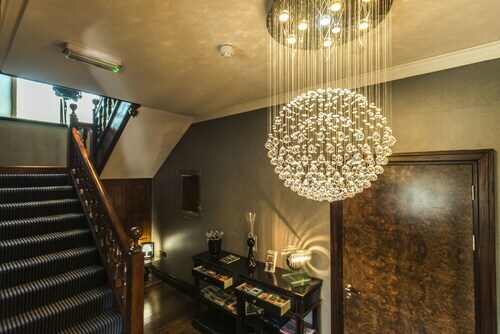 Situated in the historical district, this luxury hotel is steps away from Lyth Valley and Lake District. Lake Windermere and World of Beatrix Potter are also within 3 miles (5 km). 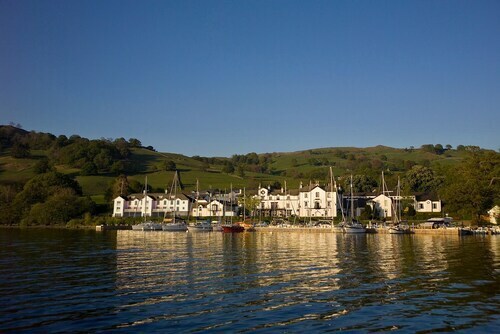 Situated on a lake, this luxury hotel is within a 15-minute walk of Lake District and Lake Windermere. Brockhole - the Lake District Visitor Centre and Townend are also within 2 miles (3 km). Situated in a national park, this luxury bed & breakfast is within 1 mile (2 km) of Orrest Head, Lake District and Lake Windermere. World of Beatrix Potter is 1.1 mi (1.8 km) away. Windermere Station is 11 minutes by foot. 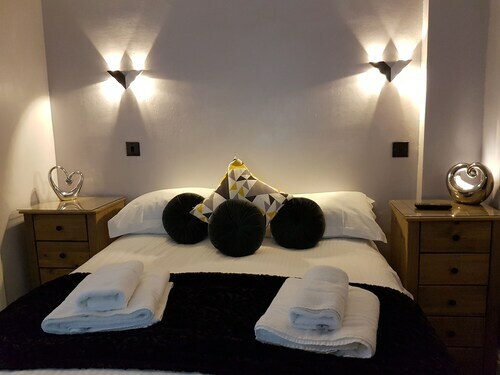 Situated in a national park, this luxury bed & breakfast is within a 15-minute walk of Lake District and Lake Windermere. World of Beatrix Potter is 0.9 mi (1.4 km) away. Windermere Station is 11 minutes by foot. So, you're thinking about a holiday to Windermere? If you'd like to find accommodation that's located near the sights, you can enter your holiday dates and then use the filters beside your hotel search results to find somewhere to stay near the area's attractions. 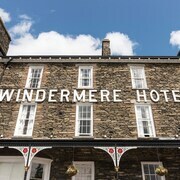 You can choose among 133 Windermere hotels and accommodation choices to find a place to stay. 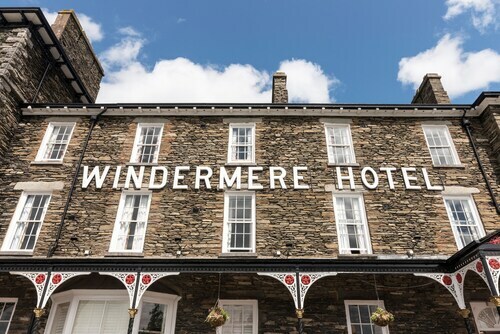 When you're thinking about where to stay in Windermere, you can easily and quickly search ebookers for hotels offering services such as high-speed Internet, a swimming pool or free airport transport. You can take advantage of the filters to narrow down your search for a hotel, so you get the services that are important to you, such as an in-room kitchen or air conditioning. When is the Best Time to Explore Windermere? If you're curious when is the best time of year to visit Windermere, you might find this info about seasonal weather useful when you are planning your trip. The warmest months in Windermere are typically August and July, whereas the coldest months are usually February and January. The months with the most rain are November and August, whereas April and May have the least. The annual rainfall average in Windermere is 21 mm. Lovely place to stay wonderful comfy bed and spotlessly clean room, warm friendly staff but must stress that there is NO parking during the day. Had an enjoyable time. Host is very friendly and the breakfast was excellent. Quirky but vety cosy. Breakfast and dinner were excellent. Would have chosen a different room if id have know. It was very small! We travelled with a toddler. My son needed his food taken care of by way of refrigerating it and later warming up. Although the hotel wasn’t permitted to warm the food using their microwave ovens, they did on two occasions provide hot water to warm food up. Staff in particular will went to the trouble of doing that for us. We were truly grateful. Gave it the benefit of the doubt. Wish I hadn’t. Dated, dirty and disgusting room. Freezing cold. Rest of hotel and food was nice. A truly amazing hotel! You will not find better! Staff and the best at what they do. The rooms and suites are beautiful and perfectly kept. Beautifully laid out complex. Spotlessly clean. Parking does seem a bit scarce though. Quiet and comfortable property very near town. Would definately return.